Totally forgot to post this superb dessert from the last time we dined at the amazing new restaurant from Chef Roberto Treviño. El Buda has exploded onto the Orlando restaurant scene and been a true business disrupter with Chef Trevino’s execution of Latin, Asian fusion cuisine. 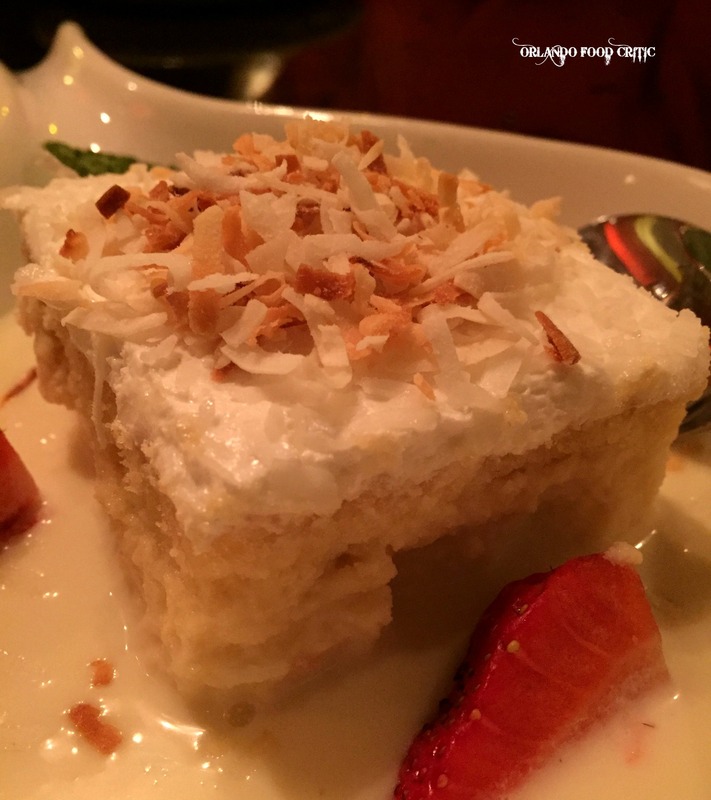 To complement our superb meal we selected Tres Leches, a simple tradition dessert that despite its simplicity is so easy to get wrong. Not so at El Buda, Chef Trevino’s version made in house, ticked all the boxes and then some, evidenced by the clean plate and comments of “can we get another?” from our fellow diners. As we mentioned in our previous post El Buda is undoubtedly one of our favorite dining experiences this year and has elevated the dining scene in downtown Orlando, let alone Church Street to a whole other level. El Buda have a Sunday Brunch Menu plus various Happy Hours and other great events, visit them soon.